In 2004 Greenpeace Netherlands started a unique blood testing project. 91 people participated in the project and had their blood tested. The blood samples were analysed for six groups of hazardous chemicals: phthalates, brominated flame retardants, organotins, artificial musks, alkylphenols and bisphenol-A. Chemicals that are contained in normal consumer products. In this booklet you find the most important conclusions: there are chemicals present in the blood of all participants. Omschrijving: Traces of hazardous chemicals have already been found in the bodies of countless animals: whales, polar bears and eels. Greenpeace found the chemicals also in house dust (2001) and in rainwater (2003). The logical question that follows is: could hazardous chemicals also end up in our bodies? 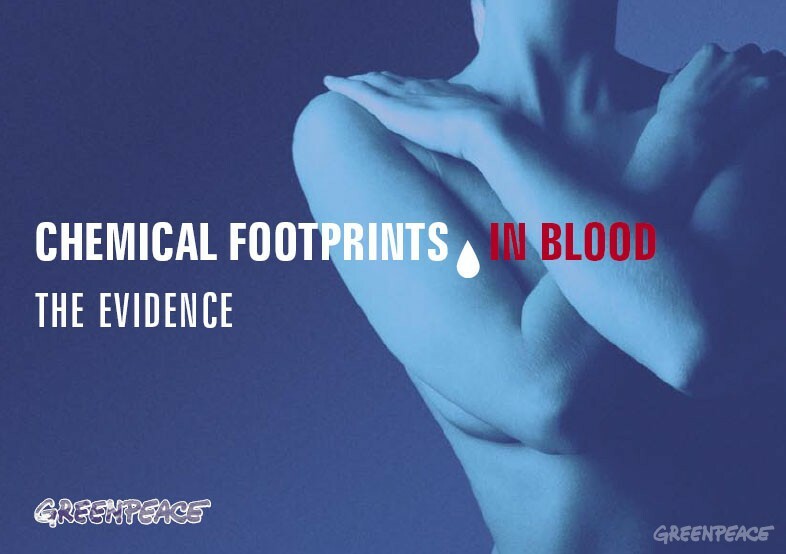 Greenpeace decided to carry out a blood testing project in humans. Prof. Dr. P.J.J. Sauer from the University Hospital Groningen led the research project. The research institute TNO-MEP analysed the blood carefully for hazardous chemicals. ‘Chemical Footprints in Blood’ gives an overview of the measured concentrations found in the blood samples. Participants tell why they had their blood tested. Professor Sauer draws up his conclusions. And finally: following discussions with Greenpeace companies like Samsung and Nokia decide to eliminate hazardous chemicals from their products.